As the West Indies head back to England after their brief stay in Belfast, for one cricketer from the Northern Cricket Union there is a career long association with the men from the Caribbean. Belfast born Gary Wilson is the most capped Irish cricketer to emanate from the Northern Cricket Union with 239 caps. 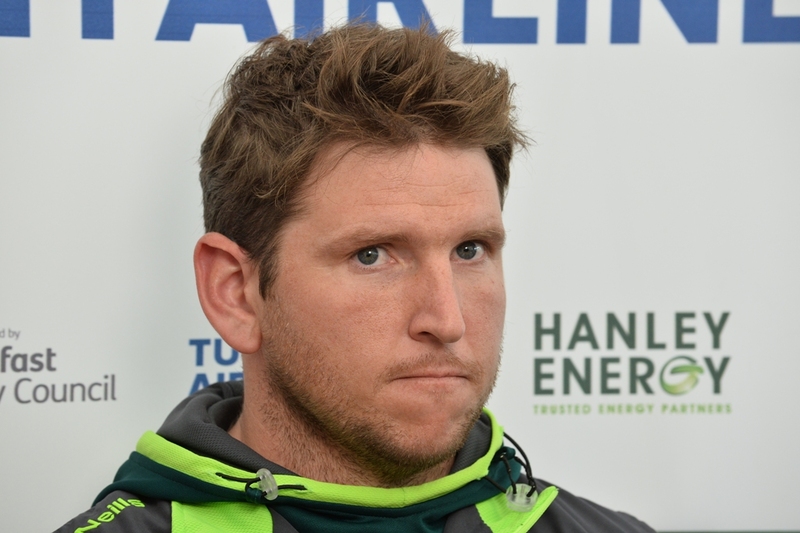 The 31 year old plays professionally for Derbyshire County Cricket Club in England, after a winter move from Surrey CCC. 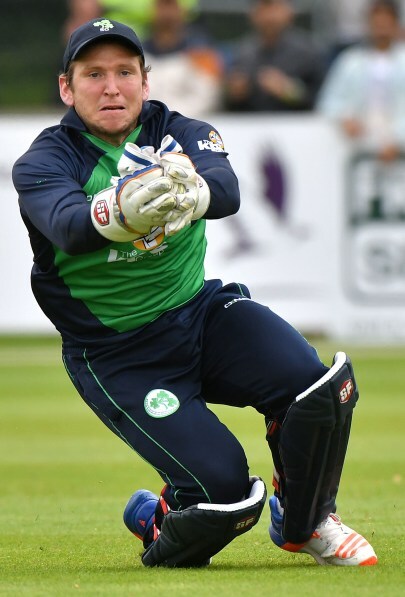 Gary's Ireland career began in 2005 at Upritchard Park, Bangor against the Marylebone Cricket Club (MCC). A year previously, when still a pupil at Methodist College Belfast, he lived the school boy dream as a substitute fielder for Ireland in two International games against the West Indies. Twelve years on from his debut and his statistics are impressive: 5131 runs, twenty-seven half centuries, one century and 183 catches. Gary is thankful to his parents for introducing him to the sport which has become his career. He vividly remembers going to NCU training sessions at Queen's University, as he began his representative career as an 11 year old wicket keeper. From then he would progress through the age groups at NCU and Ireland to the Ireland A team and finally the Senior side. Reflecting on a youthful love of the game he says, 'I remember playing for Methodist College Belfast in the morning and then North of Ireland Cricket Club (NICC) in the afternoon, and loved it.' NICC would become Harlequins after leaving the famous Ormeau ground that hosted many famous cricket matches down through the years, and are now Civil Service North of Ireland (CSNI), based at Stormont. The experience of sitting in a winning Ireland changing room in 2004 had a profound impression on the young Methodist College pupil who, 'remembers sitting in the changing room after the victory and witnessing how much it meant to the players, and to me just to be there. I wanted to be a part of that all the time'. A cricketer that Gary greatly admired as a young boy was Brian Lara, having spent hours playing the Sony Playstation game endorsed by the great West Indian. Although too young to have witnessed the great Caribbean sides of the 1970's and 1980's, his first West Indies versus England memory was the infamous abandoned test in 1998 at Sabina Park, Jamaica, when the pitch was deemed to be dangerous. Gary has also played in the Caribbean and talks about the passionate and knowledgeable supporters who are respectful of opposition players. He feels it would be great for the global game to see a strong West Indies at the top of the world game again, filling out the stadiums across the islands. He believes that another superstar of the ilk of Sobers, Richards or Lara would be a great boost for the West Indian public. Four years after the disappointment of the game in Mohali Ireland gained revenge by beating the West Indies by four wickets at Saxton Oval, Nelson, New Zealand, in the 2015 World Cup. Gary describes that victory as, 'being right up there, as we bossed the game and were in complete control. This was most satisfying as many of the other great victories had come as a complete surprise to the watching public'. NCU cricket remains close to Gary's heart as he has played for CSNI when available over the last few years. However, he acknowledges that as he gets older weekends off are cherished. He says that he will, 'always try and play as much as I can for the club, they have been so good to me over the years, supporting me, and hopefully one day I can give more back'. Looking to the future the Belfast boy says that it would be a, 'dream for me is to play a test match in Belfast, I love playing in front of the Stormont (my favourite ground in Ireland) crowd, and to walk out as a test match cricketer would be a dream come true'.